Don Austin’s prose poem Notes (toward a poem about play) is a quirky, engaging, wonderful riff on what it means to be playful, and how various kinds of play inform our lives. Inventive, elastic and inviting, this text needed a structure that reflected it. And so we offer a book that invites you to play along. Literally. Tara Bryan, book builder extraordinaire, has designed a book that opens into a game board; after reading it, you can open the book a whole other way, and play along with the poem. Tara created and illustrated the game; the game board was silk-screened at Living Planet in St. John’s. The type is Fournier; the text and game board papers are Zerkall Book, with a wrapper of handmade paper from Papeterie St-Armand. Printed in an edition of no more than 95 copies, signed but not numbered. 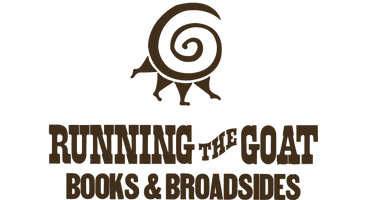 The text was letterpress printed at Running the Goat Press, and the books have been assembled at walking bird press. Please note, this is not a children’s book.